Thus far, we’ve seen numbers related to confidence in project planning and our failure to produce accurate project estimates. In this post, we’ll see that failing to meet project delivery dates doesn’t come from lack of effort, though we will see another sign that we’re indeed setting ourselves up for failure. 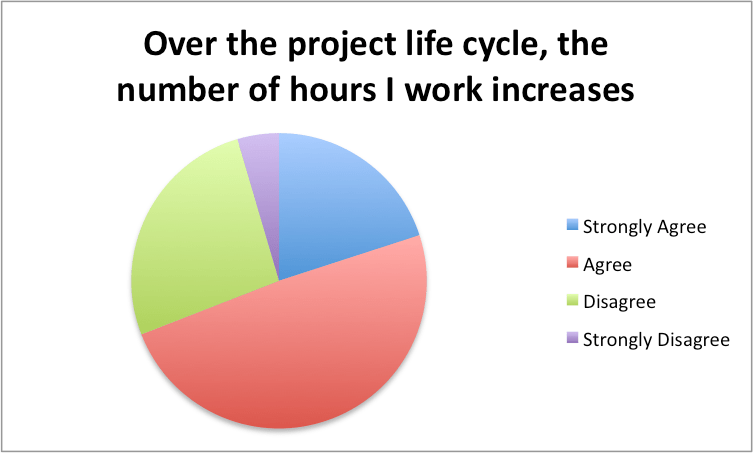 Here’s three new data points from our project planning survey related to long hours, mounting stress and aggressive goal setting. 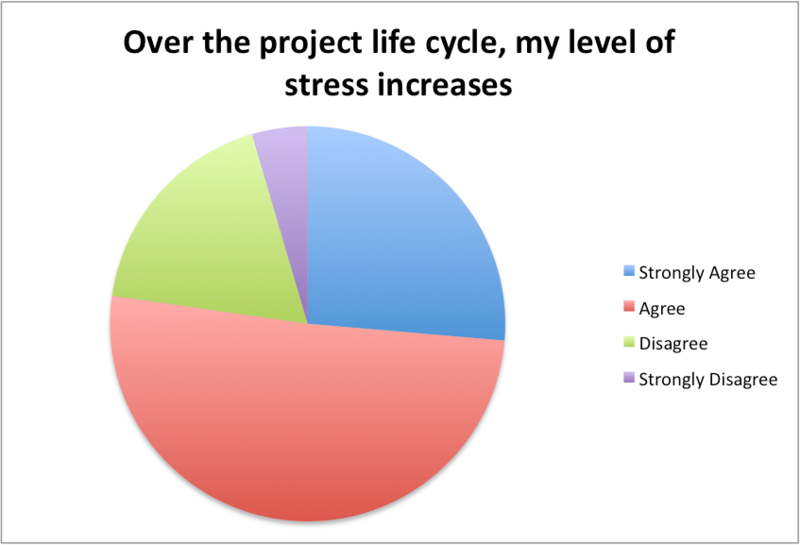 I don’t think anyone will see this as a surprise, but we thought it’d be important to get an idea for how people’s stress level changed over time. There was strong recognition that our stress increases over time. Also… and unfortunately… another response that is not overly surprising. Something I take away from this: if increasing the number of hours a person is working is being seen as a way to compensate for poor planning, it’s not working. The strongest response of the entire survey was for this question. 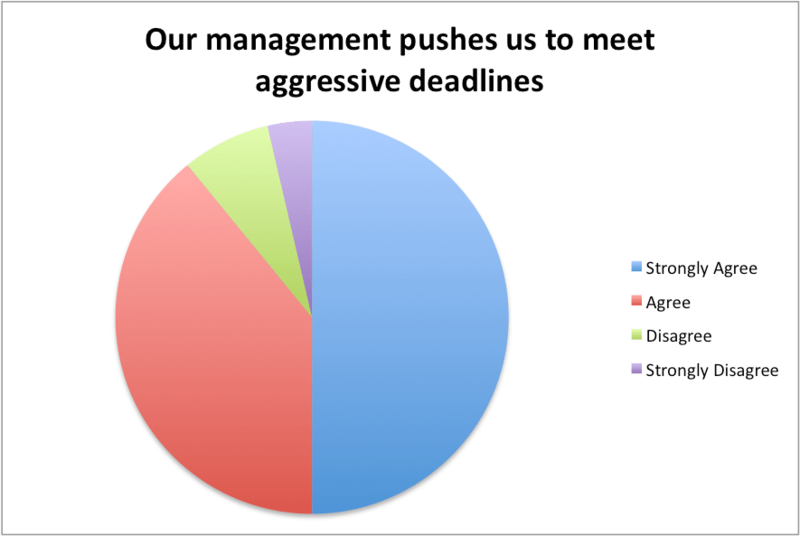 A whopping 89% of participants asserted that their management pushes for aggressive deadlines. Surprised? Do you think aggressive deadlines working for us? Weighing these data with those we’ve reported in previous posts, what do they tell you about the state of project planning in hardware development? ← Planning to Fail: Is Estimating Really This Difficult?